ID:CORE represents the culmination of more than seven years' technical Research and Development. These amps have an intuitive control set like a traditional amp, but have the versatility of programmability. The unique controls allow you, the guitarist, to custom design your own sound. The Voice control has six different settings - Clean Warm, Clean Bright, Crunch, Super Crunch, OD 1, OD 2. 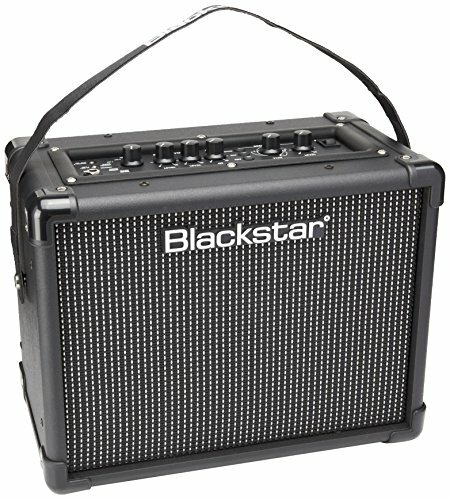 When used together with Black star's patented ISF control you can get the exact tone you're thinking of. The effects section delivers studio quality modulation, delay and reverb effects simultaneously that you can store with your sound. View More In Combo Amps. If you have any questions about this product by Blackstar, contact us by completing and submitting the form below. If you are looking for a specif part number, please include it with your message.